BlackBerry recently came under fire for a slew of suspicious reviews with five-star ratings on Google Play for its recently launched BBM for Android app. The company today responded to a request for comment on the issue, taking no responsibility for the fishy comments and showing its disapproval for them. We have been made aware of a number of potentially fake reviews of BBM for Android on Google Play, with ratings anywhere from one to five stars. We have no knowledge of how these reviews were created or populated. We do not approve of or condone such activities. There are also many genuinely great and useful reviews from our new BBM users on Google Play. We would like to encourage our fans and users to continue to provide true assessments of the BBM experience through the proper channels. If you’re just tuning in now, BBM for Android and iOS launched on Monday. Some users noticed the fake reviews stacking up on Tuesday and Wednesday, but the news really picked up steam on Thursday (today) when tech blogger Terence Eden took a closer look at the growing number of reviews (over 182,000 at the time of writing). Plenty of businesses offer false reviews for app developers, and BlackBerry wouldn’t be the first to hire other parties to post false reviews. In fact, it’s possible that a marketing firm hired by BlackBerry is doing this without BlackBerry’s knowledge. BlackBerry makes a point that there are indeed many genuinely positive (as well as genuinely negative) reviews for its new Android app. Nevertheless, the company needs to do more than just criticize what’s currently out there; screenshots of the fake reviews have appeared all over the Internet, and are largely seen as a BlackBerry joke. We have asked the Canadian company what it is doing to, if anything, have them taken down, whether it has contacted Google, and whether there was an investigation launched into where they may have come from. Hopefully the fake reviews are deleted, as BBM’s launch doesn’t need any more problems. Update at 4:00PM EST on October 25: BlackBerry tells us it did indeed flag the issue with Google (via the Google Play developer process) “as soon as we were made aware of the questionable reviews.” The company also updated its statement as follows. 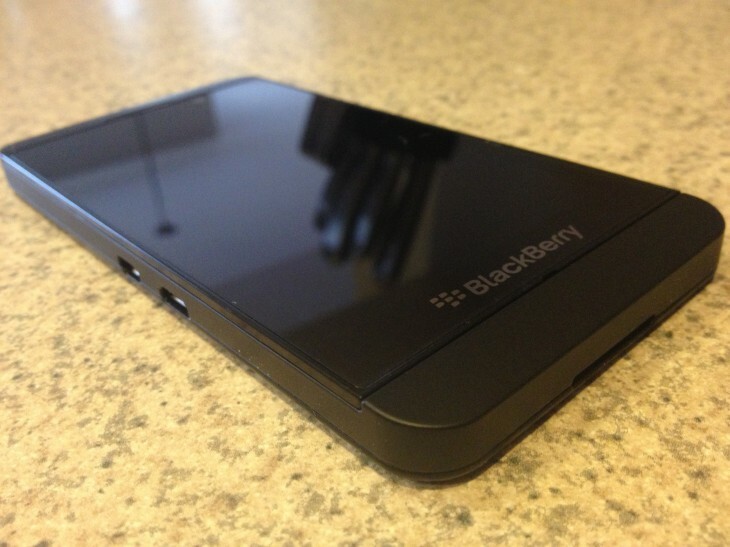 BlackBerry had nothing to do with these reviews and we do not condone this behavior. There are many genuine reviews of BBM on Google Play and the response has been positive. We encourage everyone to provide genuine feedback through proper channels. We’ll let you know if Google Play takes down the offending reviews.